What Is The Definition Of A Goal Poacher? 1. 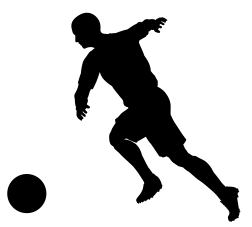 A goal poacher is a type of striker in soccer who has a great ability to score goals, especially while maneuvering around the opponent’s penalty area. A goal poacher’s excellent scoring skills and instincts allows them to be able to score goals most players wouldn’t even attempt. 1. Beckham is a goal poacher who’s able to score goals from area on the field that most players in the league wouldn’t even take a chance on shooting. Goal poachers are skilled strikers who are known to score goals from within the penalty box. Although they aren’t as involved in with the build-up of the play leading up to the goal, they are at times the most crucial part of the play, as they have to position themselves in the right spot of the penalty box in order to prepare for their opportunity to score. Therefore, they must have quick reflexes and tend to be greatly skilled with trick plays (such as bicycle kicks) and headers. On some teams, the goal poacher’s sole job is to just run towards the net and position themselves for a goal, and nothing else.